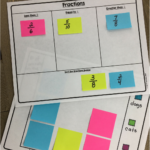 Within the last couple of weeks, I have been participating in a book study hosted by Donna of Math Coach’s Corner. We have been reading and discussing Teaching Numeracy 9 Critical Habits to Ignite Mathematical Thinking by Margie Pearse & K. M. Walton. The book is a really great one in that it provides researched based approaches and practical application of 9 critical math habits. Habit 6, Questioning for Understanding really stood out to me. 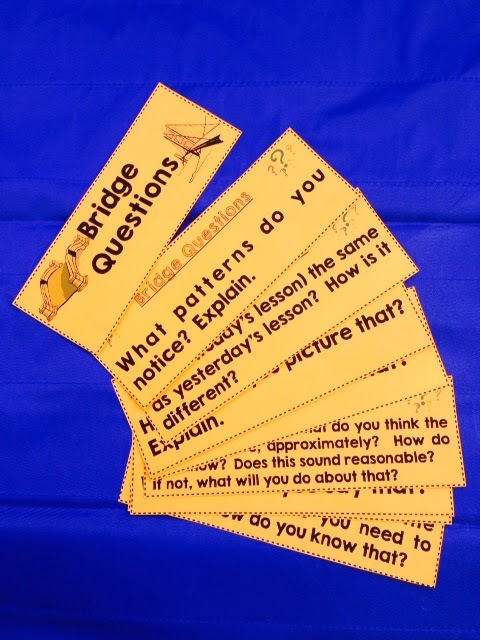 In this section the author provided several questions that were categorized into 3 areas: bridge questions, during lesson questions and debrief questions. 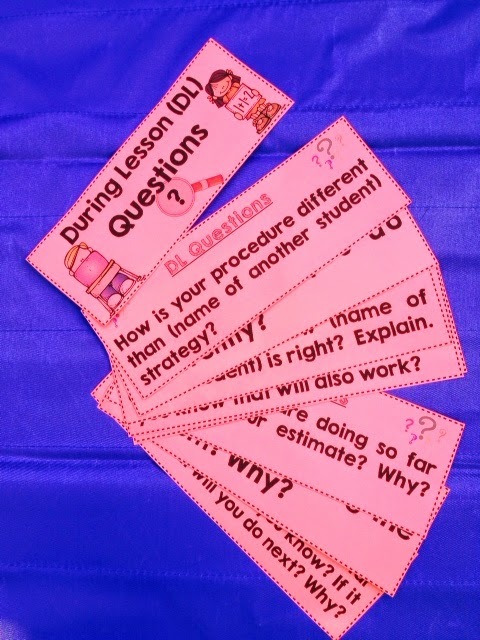 I was so impressed with the questions that I wanted to create a freebie to help teachers. 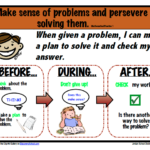 With the permission of Margie Pearson (one of the authors) I was able to create this great FREEBIE. Therefore I present to you…….. Math Questions for Understanding. I would like to send a special thanks to Donna for organizing this great book study and Margie Pearse for writing such a wonderful book. Check out the book when you get an opportunity. Sending thanks your way and wishes for a great week! Thank you very much! I wish that you have a great week as well! Oh, my goodness! I just downloaded this. You sure made my life a lot easier! Thank you so much!! Thank you for the kind words Cyndie. I'm glad that you have found this resource to be helpful. Thank you Jenny! I am glad to hear that these will be helpful. Thanks so much for the freebie Greg! This will be my first year teaching and I have been looking for as much relevant and useful information as possible to help me reach my kiddos. Also, thanks Donna for starting the book discussion…sorry I missed it, but hopefully I can catch the next one! Your welcome Kahli. I hope that you have a great first year. thank you for the great free download! 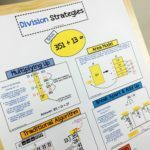 I have been following your blog and am enjoying your insight! Thank you Sandy for the positive comment. I am glad that you are my new follower! 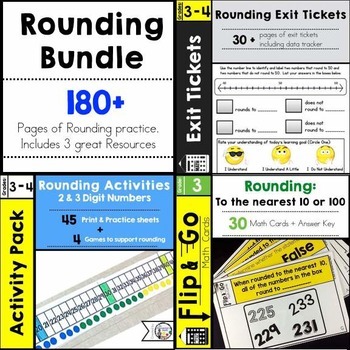 Thank you for taking the time to create and share such an awesome resource. I was about to start on a similar idea, but you have made exactly what I need. If you don't mind, I would like to share it with the teachers in my school district, giving you the complete credit of course. Margie, your book is right on target with where we need to go in our math instruction! Donna, thank you for heading up this book study! I joined late, but am devouring the book and greatly appreciate everyone's insight. Thank you! It warms my heart to be sharing my summer with such dedicated, passionate educators. That is dream come true to me! Thanks so much Kim. You can absolutely share! This would not have been possible without such a great book study. Margie thank you again for giving me permission to create this resource. Many educators and students will be blessed because of your generosity. 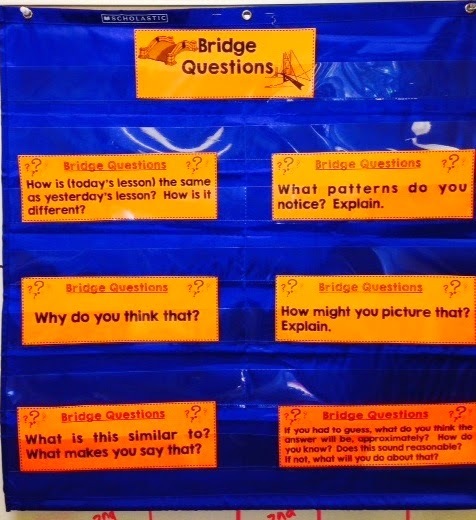 It is so important that we are asking students the right kinds of questions throughout math instruction. Thank you! I am very excited to share these with my new students. 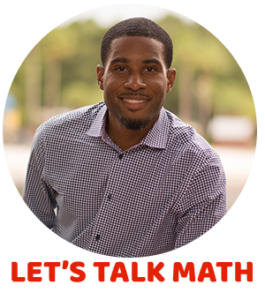 I am thoroughly enjoying the wonderful math conversation and collaboration this summer. I do believe it is the ticket to deeper, more meaningful math instruction. I feel so blessed to be part of it! Thank you Margie. I am enjoying the collaboration as well. Please keep in touch throughout the school year. Thank you for this wonderful FREE resource. 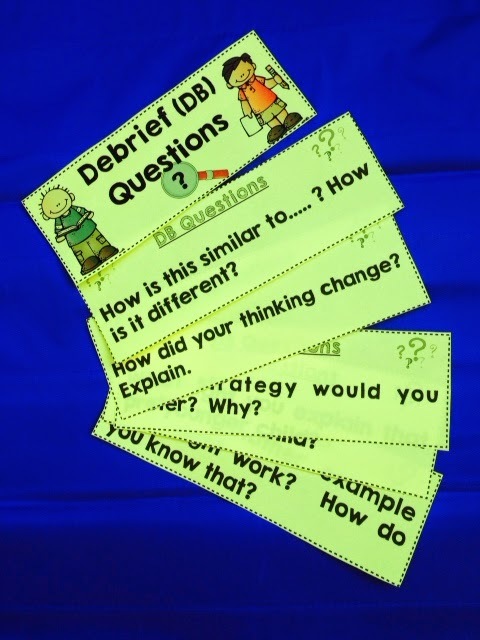 I can't wait to incorporate these questioning techniques into my teaching. Thank you Shel. 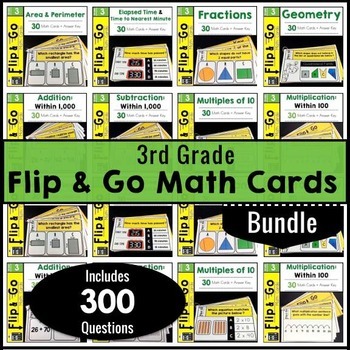 I would love to know how it goes once you incorporate them in your classroom. Thank you- these are wonderful! I am trying to keep up with the book study, although family events and travel have left me a few weeks behind. But it is so interesting I am committed to plugging along at my own pace! Your welcome Carol. 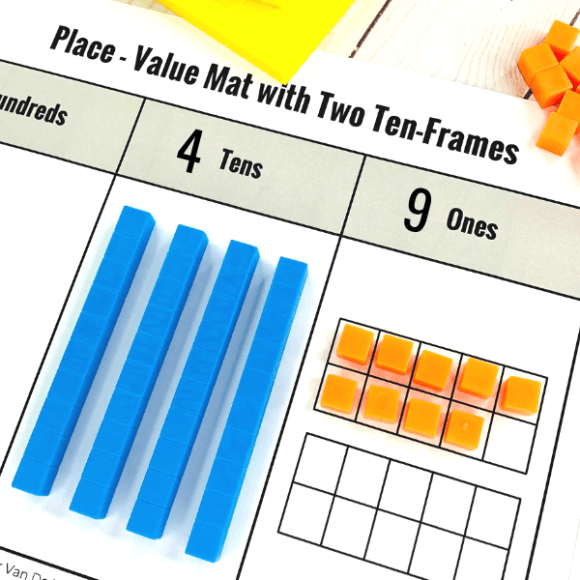 I hope that you will find these to be helpful in your classroom! Your welcome, your welcome. 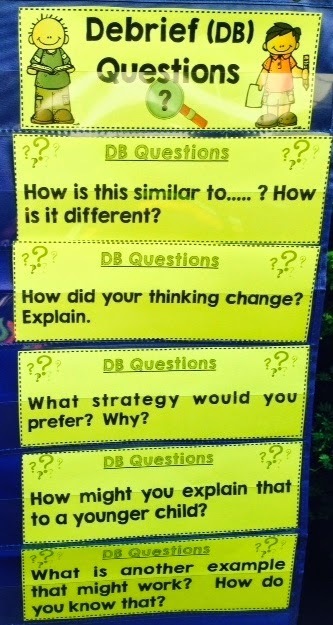 I believe that these questions will definitely help students with developing conceptual understandings. Thank you Margie Pearse! Greg, this is AWESOME!!! You are so creative. This will be a wonderful resource!